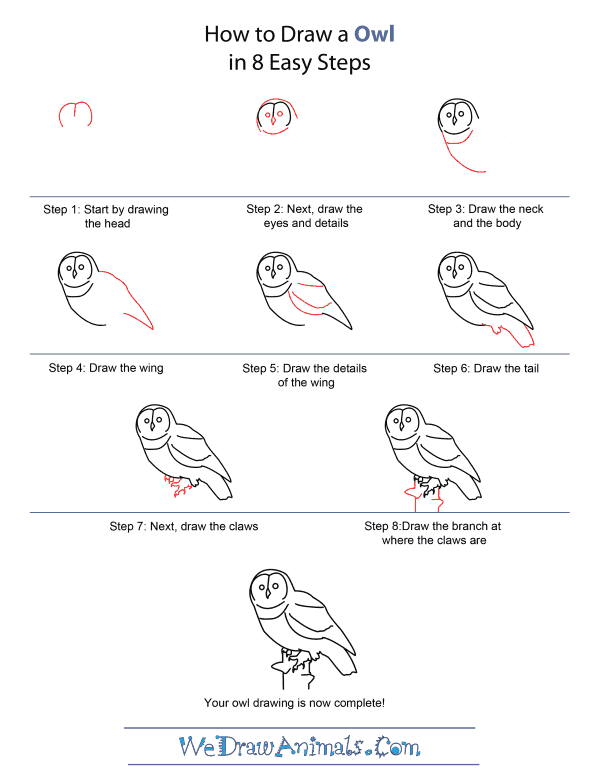 In this quick tutorial you'll learn how to draw an Owl in 8 easy steps - great for kids and novice artists. 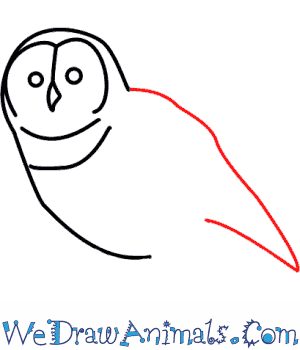 At the bottom you can read some interesting facts about the Owl. Step 1: Start by drawing the face. 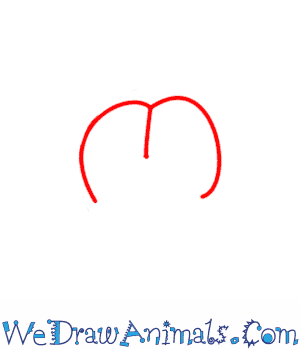 It is a very curvy upside down "W" shape. Make the outer lines curve in. Step 3: Starting at the left side of the head line draw a curved line down and across to make the body line. There is a short curved line right beneat the bottom of the face line that makes the neck line. It only goes to the bottom of the face line. Step 4: The wing starts at the end of the right side of the head line. It curves slightly to the same length as the body line. The bottom part of the wing comes together in a sharp point. It is longer than the body. 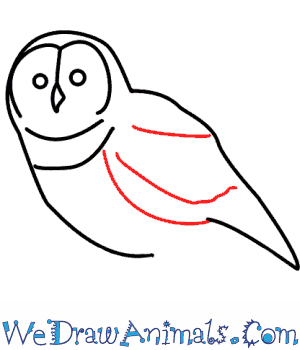 Step 5: Add some curved lines between the neck line and the back line to show the feather markings on the wing. Step 6: Under the wing draw the tail feathers. This is a thick squarish line down from the tail almost back up to the body line. Step 7: Draw short legs with very sharp claws on the feet. The front foot has four very sharp claws or talons. All you draw for the back foot are two claws. 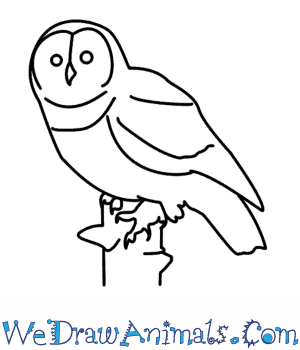 Step 8: Finish your eagle by drawing two lines for the branch that the eagle is perched on. 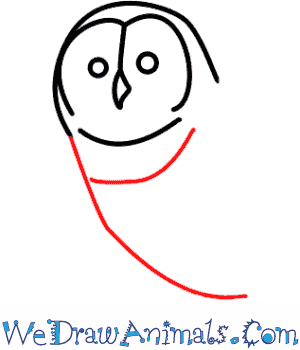 Owls belong to the Strigiformes group of birds that includes 200 species of prey. 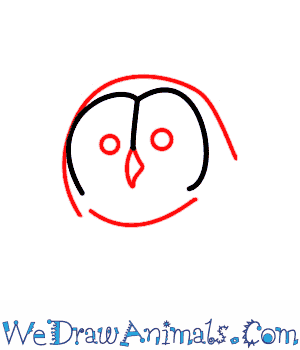 They have a flat face, a hawk like a beak, and eyes that face forward, surrounded by a circle of noticeable feathers. With an ancestry that dates back over 60 million years, the owls are one of the oldest groups of land birds. An owl can adjust the feathers around its eyes, called facial disks, to direct a sharp focus on sounds coming from varying distances into its ear holes. 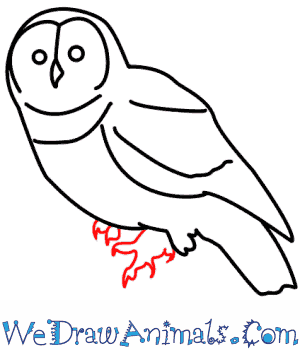 Most owls actively hunt prey only at night. Owls can fly very slowly and nearly silent, allowing them to swoop down on prey more easily. Unlike other birds, an owl’s eyes can not move in any direction, but they have the ability to swivel their heads in a radius of 270°. 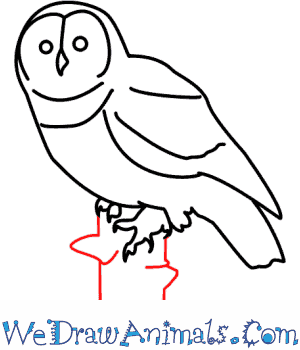 In Western civilization, the owl represents wisdom, while in several other areas, the owl is a symbol of bad omens, death and foolishness. 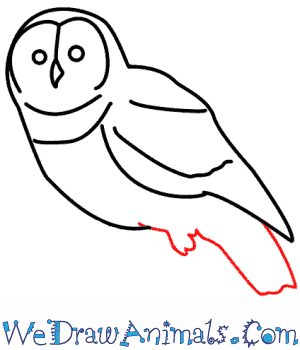 Owls generally hunt insects, small mammals and other birds, and some species hunt fish. The owl is an interesting creature that has been both symbolized throughout human history as a goddess and a bringer of death.